If you’re new to Muay Thai and need a pair of Muay Thai boxing gloves then you’ve come to the right place. Believe it or not, there is a difference between Muay Thai gloves and normal boxing gloves. Muay Thai gloves are more flexible when you clench your fist and generally less rigid than boxing gloves. This type of flexibility allows you to grip and grab better with your gloves, which means it’s much easier to clinch with Muay Thai boxing gloves than it is with much bulkier traditional boxing gloves. When it comes to searching for the best pair of Muay Thai gloves for yourself, you have to consider what you’re specifically looking for in a boxing glove. While some of you are searching for good heavy bag gloves, others are searching for sparring gloves. However, if you ended up here, chances are that you’re looking for Muay Thai gloves that are an ‘all-in-one’ boxing glove. We will assist you in finding the best boxing gloves for Muay Thai in this guide. It’s important to know how we made our decision in ranking the top 10 best boxing gloves for Muay Thai fighters. I take product reviews very seriously, knowing exactly the type of quality you’re buying before you buy is important in this day and age of online shopping. The great thing about online shopping is that you have your pick of the litter, and believe it or not there is A LOT of boxing gloves available online. Quality should be your number one priority when shopping for a new pair of Muay Thai gloves. You want to know that your investment will be worthwhile for a long time. So many times I’ve seen new fighters in the gym using a pair of boxing gloves they got at Walmart and wonder why they fall apart after a few months. It’s better to spend more in the beginning if it means they will last a long time and live up to their price. Buying a cheap pair of boxing gloves for Muay Thai is okay, in the beginning. However, the more advanced you get the sooner you’ll need to get a better pair of boxing gloves. Higher quality boxing gloves are made with better material which means they protect your hands that much more. Did you know there are 27 small bones that make up a human hand? These bones aren’t that hard to break, which is why you should also wear hand wraps. It’s important to get the best value boxing gloves for your price range. Don’t worry if you can’t spend too much on Muay Thai gloves, no matter your budget you should be able to find a decent pair of boxing gloves that will prove their value over time. If you have a low budget it’s even more important to choose your boxing gloves carefully. The last thing you want to do is spend money on a pair of boxing gloves that will fall apart in a few months. Believe it or not, all brands don’t carry the same reputation and value. Brands such as Fairtex and Twins Special have been around for decades and hand-create all of their Muay Thai gear in Thailand (the home of Muay Thai). These type of recognizable brands come at a higher price because people know these brands are reliable. Other brands such as Sanabul and Elite Sports are also good, however, they don’t have the same reputation as other Muay Thai brands so they usually are at a lower price point. Fairtex always delivers when it comes to quality. Considered by many to be the ‘Rolls Royce’ of Muay Thai equipment, Fairtex really went above and beyond with these gloves. Not only are they made in the heart of Thailand, but they also have been tested by professional Muay Thai fighters all over the country. Made of “Micro Fiber” which makes these gloves an odorless material, endurable, flexible, soft and smooth touch. Their wrist support is what separates them from the other gloves on this list. The padding is equally distributed throughout the glove which makes it perfect for all-around training. Not only will they feel good on your hands, they will also look good. With over 10 different styles and color combinations to choose from, you could wear a different pair every day of the week. I highly recommend Fairtex gloves for Muay Thai training, these simply are the best boxing gloves for Muay Thai. The Twins Special boxing gloves were my first set of gloves and did a fantastic job as a ‘hybrid glove’. I used them for pads, bag work, and even sparring sessions. Twins Special are probably my favorite gloves on this list, however, I do also love the Fairtex and Yokkao pairs we show as well. It’s no secret that Twins has been a staple in the Muay Thai game for years, they don’t plan on going away anytime soon. 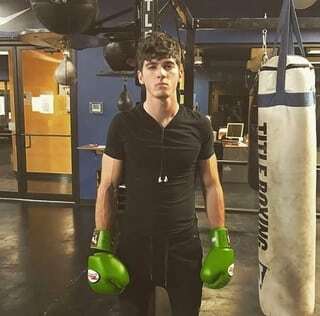 The reason I personally love Twins Special boxing gloves are because they fit like a glove (literally and figuratively). These gloves felt natural on my hands from the first time I put them on (remember, these were my first pair of gloves). Not only did I enjoy wearing these, but they’re at an attractive price range. These gloves are also durable, I’ve had my original pair for years. The only wear-and-tear these gloves have shown are small cracks around the edging of the gloves. I love these gloves and they’re some of the best boxing gloves for Muay Thai. YOKKAO is pushing the boundaries of Muay Thai and Boxing equipment with the new Matrix edition. These premium leather gloves are handmade in Thailand by professionals who have crafted the art of building boxing gloves over decades of practice. The Matrix gloves are top of the market. Recently new research and development have been put into them to create a longer lasting more durable foam. This protecting padding provides the ultimate cushion and support for hard-hitting action on the pads, the bags, and sparring. 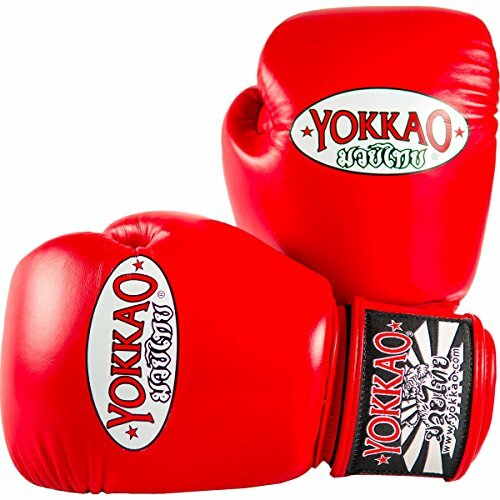 Yokkao produces some of the best boxing gloves for Muay Thai. The new Matrix edition gloves have the brand new foam along with all the extra trimmings of an attached thumb. These gloves look and feel great on your hand and wrist, I highly recommend the Yokkao Matrix. Professional Muay Thai fighters such as Saenchai have personally tested these gloves over a thousand times. These gloves are probably the next purchase I make when I need new boxing gloves, Yokkao has really gone above and beyond with this pair. Top King is another traditional Muay Thai brand that many people either love or hate. 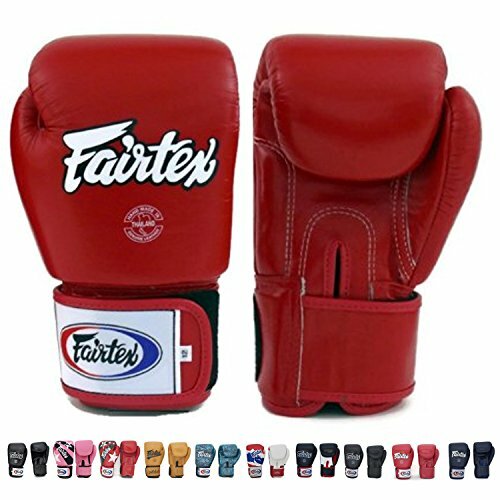 They are much bulkier when compared to the Fairtex and Twins boxing gloves. Top King gloves come in many different designs to choose from so that you can find the perfect pair. Made of premium leather, I promise you that these are some of the most durable gloves on this list. 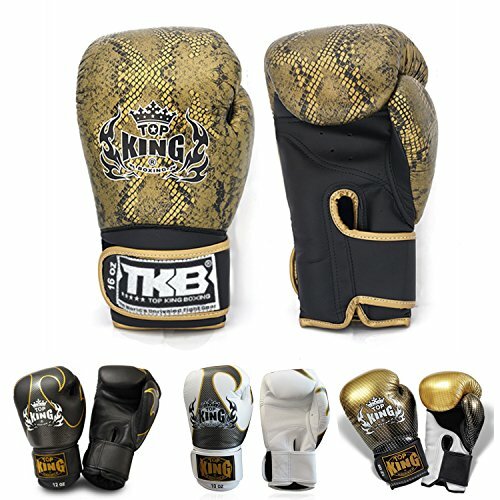 Top King makes some of the best Muay Thai boxing gloves. Not only do they have extra padding to secure your hand and your wrist, but they also include multi-layered shock absorbent for extra protection. I personally have never owned a pair of Top King boxing gloves, however, I have tried them on at the gym and they felt a little big on my hands (I have medium sized hands). If you’re someone who loves a bulkier glove that you want to break in then Top King boxing gloves are for you. Rest in mind knowing that Top King is one of the most historic brands in Thailand, they create some of the best Muay Thai equipment and gear. 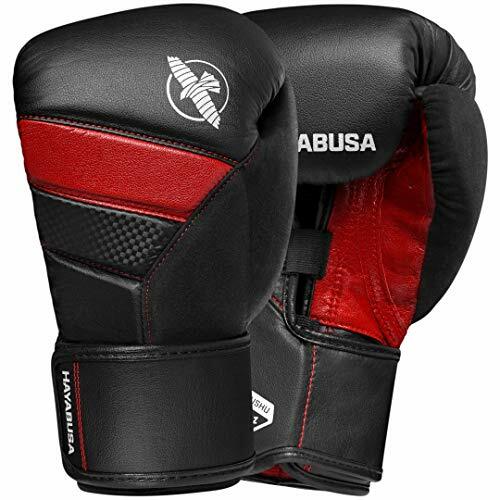 The Hayabusa T3 Boxing Gloves are the newest Hayabusa model that is sure to impress. These are some of the most stylish gloves available today. Designed to deliver the best performance for bag work and sparring. DUAL-X closure system provides a lace-like fit. Best in class wrist support delivered by the 4 interlocking splints at the back of the hand. Handcrafted with the top of the line engineered leather delivers superior resistance from cracks, abrasions, and tears. These gloves were specifically made for ‘all-around’ use, however, they are great for Muay Thai as well because of the extra padding provided. Not only do these gloves look absolutely stunning on the hands, but they also feel just as good as they look. Although Hayabusa is known as an ‘MMA’ brand, these gloves are absolutely stellar for Muay Thai. I know Hayabusa can have a bad name for being the expensive brand in combat sports, however, they really did well when crafting the T3 boxing gloves. These are some of the best boxing gloves for Muay Thai, Boxing, and MMA. The Venum Elite boxing gloves are the best that Venum has to offer. With over 20 professional designs (including the Mexico and Italy flag colorway), these gloves are the most stylish on this list. These gloves are made of high quality that is developed and tested by professional fighters everywhere. 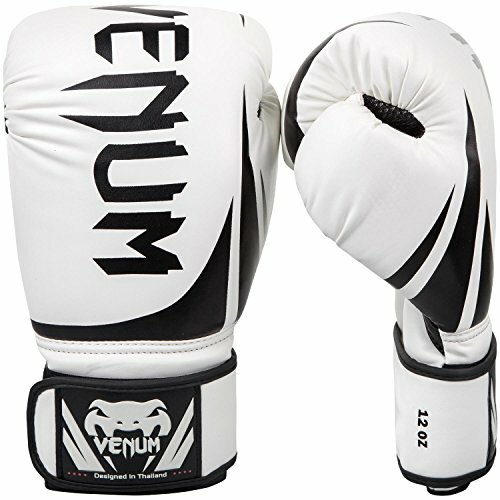 Venum produces all of their equipment in Thailand, the Muay Thai capital of the world. Although the Venum brand is similar to Hayabusa in that they both are an ‘MMA’ style brand, these gloves are still excellent for those hard sparring sessions in the gym. 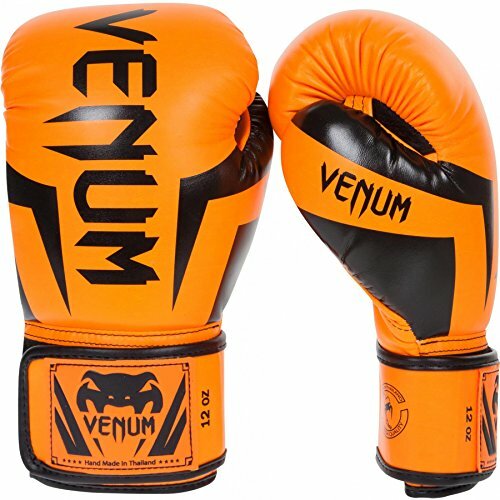 Many true Muay Thai purists tend to stay away from Venum because they believe their gloves are low quality, I personally think it really depends on the specific Venum glove you purchase. With the Venum Elites you know you’re getting a quality glove, perhaps one of the best boxing gloves for Muay Thai available today. The Fairtex Limited Edition Muay Thai Boxing Gloves are in a class of their own. With over 20 stylish colors to choose from, you could just about wear a different pair of gloves for every single day of the month. Not only do these gloves come in many different design colors, but they also have 15 ventilation holes around the gloves so that your hands can breathe properly. As always Fairtex Muay Thai gloves are handmade in Thailand for the best quality possible. 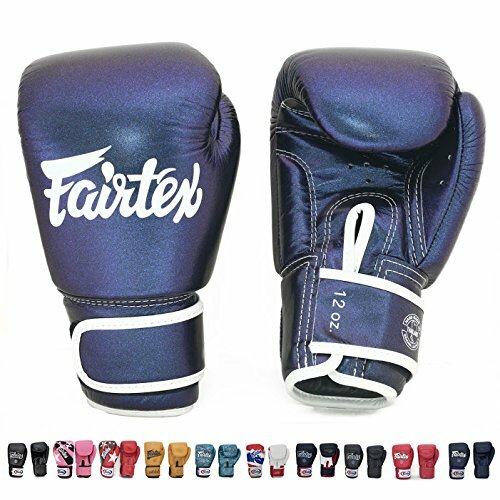 If you’re looking for a Muay Thai boxing glove that will last a long time and look great on your hands then I highly recommend the Fairtex limited edition gloves. These are some of the best Muay Thai boxing gloves available today. The color scheme stands out no matter what, the design is above the rest when it comes to Muay Thai gloves. These Venum Challenger 2.0 Boxing Gloves are designed for new Muay Thai fighters. With about every single color-way under the sun, you’re sure to find a pair that you like. The sizes range from 10 ounces up to 16 ounces, so you’re sure to find the size that’s right for you. The triple density foam construct makes it so that your hands and wrists are protected fully. Venum Muay Thai boxing gloves are handmade in Thailand so you know the quality is Thai approved. The Challenger 2.0 is a step above the Venum Contender boxing gloves and a step below the Venum Elite we talked about above. We recommended the Challenger 2.0 on our Best Boxing Gloves for Beginners guide as well. 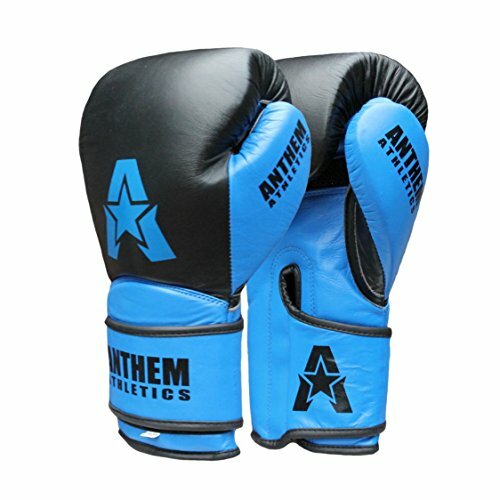 Anthem Athletics is a new name when it comes to Muay Thai gloves and based off of the glowing reviews online, they must be doing something right. Made from premium buffalo leather, these gloves are superior in performance and durability when compared to synthetic leather. The reason I’m recommending these gloves is because they have a classic Muay Thai glove design, optimized for training, pad/bag work, sparring, and competition. 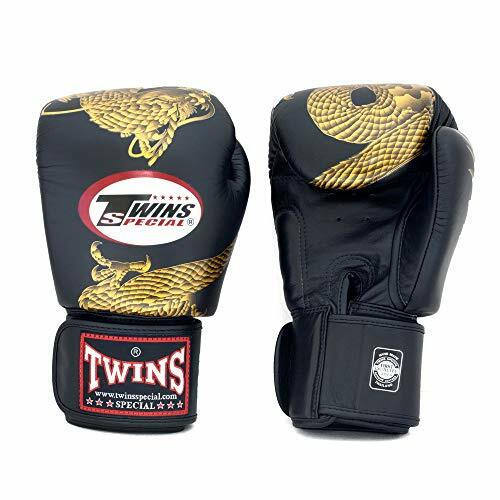 These are a great pair of Muay Thai gloves for beginners as well, at an affordable price you can feel good knowing you’re getting an excellent value. 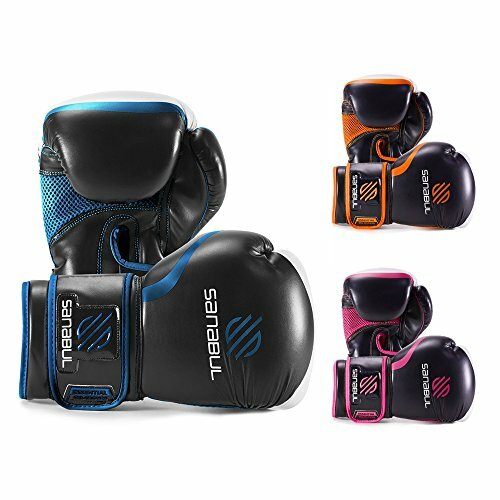 The Sanabul Essential GEL boxing gloves are one of the most affordable Muay Thai gloves on this list. Sanabul designs their gloves with gel infused foam which provides good protection for your hands and wrists. I personally have never used these gloves, but I have heard amazing reviews about them from people who are new to Muay Thai (3-5 months of training time). I think these are the perfect gloves for new Muay Thai fighters because they provide adequate protection and they are super affordable for any type of budget. The Essential Gel’s are some of the best boxing gloves for beginners who want inexpensive Muay Thai gloves. When it comes to the best boxing glove material, it really depends on how much you’re willing to spend on a pair of gloves. Some material will be much more durable and comfortable than others. The material used to make your gloves is a direct indicator of how expensive or inexpensive they’ll be. Better material means that the gloves will come with a higher price-point. Cheaper gloves are typically made with cheap material such as vinyl and synthetic leather. Even if this is your first pair of boxing gloves for Muay Thai, I still recommend buying a decent pair of gloves so that your hands are fully protected. Vinyl material is a good alternative if you can’t afford or prefer not to use real leather. The main problem with vinyl gloves is that they won’t be nearly as durable as real leather boxing gloves. Vinyl gloves will split over time, however, they’re much cheaper than genuine leather. The good thing about Vinyl gloves is that they’re much easier to clean when compared to other materials. I would only recommend vinyl boxing gloves if you can’t afford other types of gloves, or if you’re a beginner who is looking for an inexpensive pair of gloves. Vinyl gloves are also good for cardio kickboxing. Synthetic Leather (also known as Polyurethane or PU) is a low-cost material used for boxing gloves. Synthetic leather generally looks and feels just as good as genuine leather, however, it won’t be nearly as durable. Gloves made of this material are usually low to mid-tier gloves and are generally marketed towards beginners. These types of gloves will have odor issues if they’re used regularly and aren’t properly cleaned. These gloves aren’t recommended for advanced fighters or heavy hitters, if you’re new to Muay Thai I recommend looking for these type of gloves. Genuine leather (also known as cowhide or goatskin leather) is normally durable, flexible, and controls sweat and odors very well when compared to other materials. Real leather is the primary choice amongst many professional boxers and fighters today. Cowhide leather is very comfortable and offers good stretch for the fist as it’s higher quality material. Goatskin leather is actually cheaper to use than cowhide leather, however, both are well worth the price. I believe genuine leather is the type of material you find in the best boxing gloves for Muay Thai. The first step to get started is to determine what glove size is going to be the best fit for you. The best boxing glove size for a boxer is typically based on what they will be training for. Common boxing glove sizes are 8 oz, 10 oz, 14 oz, and finally 16 oz. It’s important to know your glove weight because it must fit your chosen training method. It’s good to know that professional boxers typically train in heavier gloves because they want their hands to be faster on fight night, compare this to a baseball batter that uses “bat weights” before stepping up to the plate. Heavier gloves, such as 14 and 16 oz, have more padding which means they offer better hand protection. Larger gloves are helpful for when you hit the heavy bag, mitts, and other boxing training aids. Heavier gloves are what we’ll mostly be focusing on in this article. Sparring in larger gloves is also preferred because it’s safer than sparring with smaller gloves. You’re more likely to knock someone out (or get knocked out) when using lighter gloves. Lighter gloves, such as 10 or 12 oz, are commonly used in competition. The boxing gloves you wear should have a snug and comfortable fit, with your fingertips able to reach the top of your gloves and the ability for your hand to comfortably make a fist. Keep in mind that your glove will also need to fit your hand wraps (if you choose to protect your hands with hand wraps). If you don’t have hand wraps with your while shopping, get a roll of quarters in your palm and wear the boxing gloves. – 16oz is the standard for boxers training on heavy bags. – SOFT gloves for sparring, DENSE gloves for bag work. – LACE-UP gloves for support, VELCRO for convenience. Q: Can you use Muay Thai boxing Gloves for Boxing and other Martial Arts? A: Yes, Muay Thai boxing gloves can be used for other Martial Arts, including Boxing. There isn’t too much of a difference between Muay Thai boxing gloves and normal boxing gloves. Q: Do I need to wear hand wraps with my boxing gloves? A: I always recommend wearing hand wraps with your boxing gloves. There are many different styles of hand wraps available and the price is typically inexpensive. Q: Do Boxing Gloves come in different sizes? A: Yes, boxing gloves typically come in multiple sizes, anywhere from 4 ounces (which are used for MMA competition) all the way up to 20 ounces (which are used for sparring). I recommend buying 12,14, or 16-ounce boxing gloves for your first pair of gloves. Q: Can I buy cheap boxing gloves? A: Yes, although I advise you to be very careful when buying cheaper boxing gloves. Cheaper boxing gloves typically are made with cheaper materials and will fall apart much sooner than higher quality gloves. There is also a bigger risk factor of hurting your fist when buying cheaper gloves. It’s better to invest in a good quality first pair of boxing gloves so that you know you’ll be safe when training. Q: Can I wash my boxing gloves? A: No. However, there are many ways to can clean your boxing gloves so that they don’t start to smell and you don’t risk spreading any harmful bacteria. We have a detailed guide on safely and naturally cleaning your boxing gloves without harsh chemicals.